Published on June 8, 2014. Heading to Belgium for a late summer trip this year, or thinking about it? If so, and you are a lambic/sour beer aficionado, I have some news for you. If you have no plans for a trip to “The Beer Country,” maybe I can change your mind. 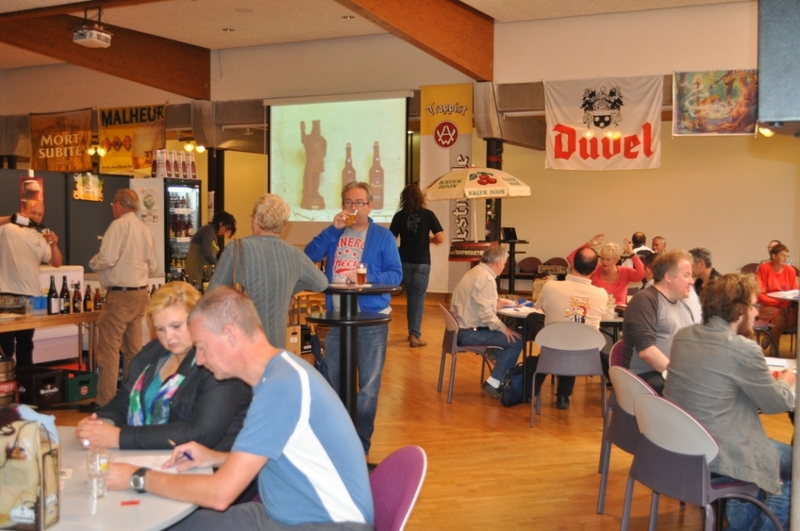 De Lambikstoempers, the premier Zythos-affiliated lambic beer promotion club in Belgium’s lambic-producing region, is having its 15th annual “Beer Weekend” on August 30-31. 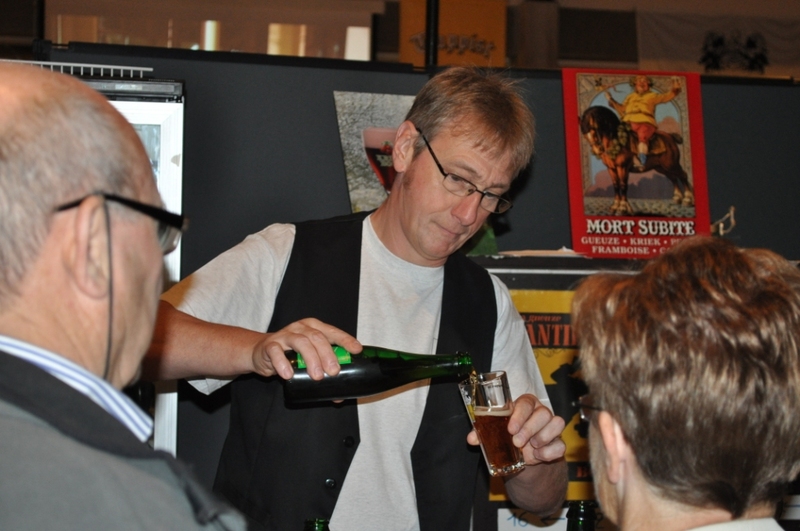 “We will offer more than 100 beers for tasting, with about 40 of those being lambic beers,” Johan “Wanne” Madalijns, President of De Lambikstoempers, told me recently. 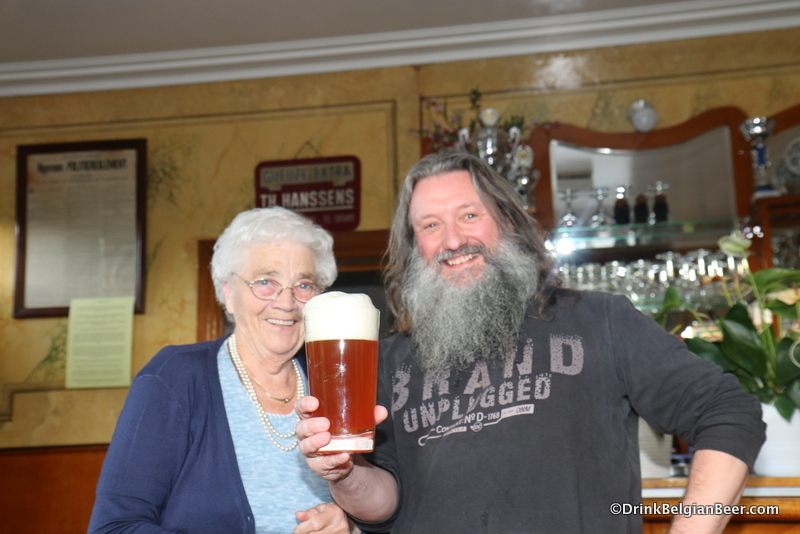 Johan “Wanne” Madalijns, right, President of De Lambikstoempers, at Cafe In De Welkom, Dworp. Photo from a past Lambikstoempers Beer Weekend, from a previous event venue. 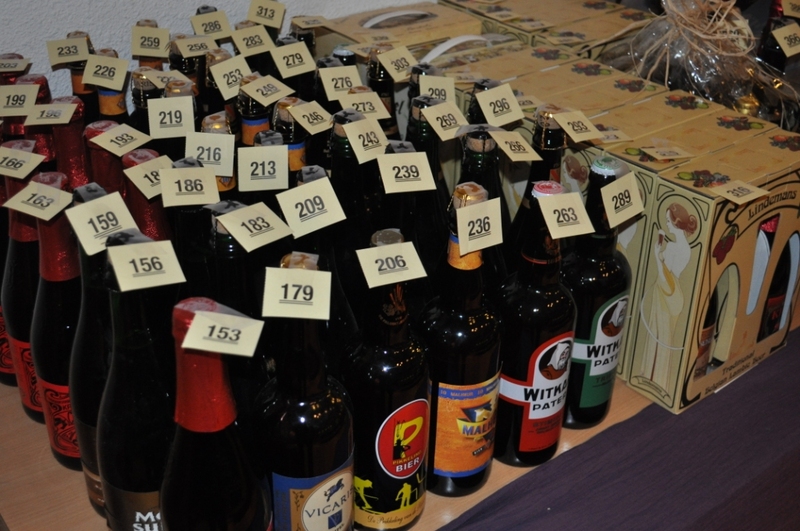 “For the 15th time “De Lambikstoempers” organizes their yearly BEERWEEKEND. 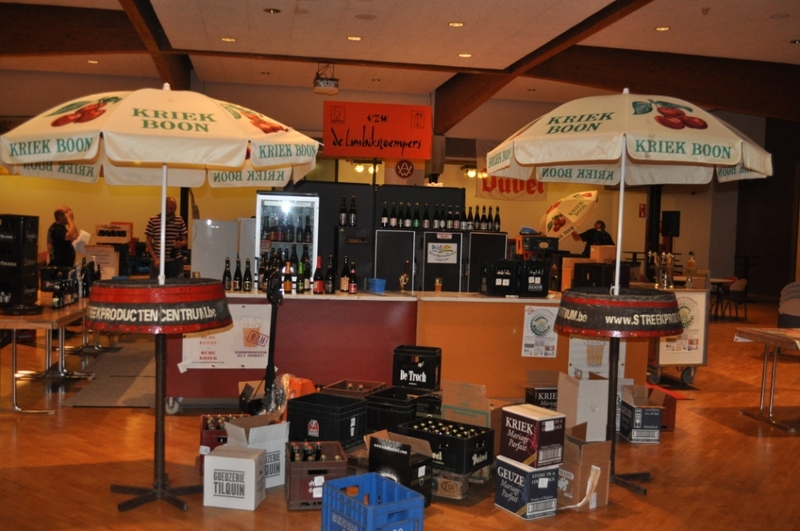 This fifteenth edition traditionally takes place on the last weekend of August, namely Saturday 30th, and Sunday 31st August 2014 in “Bezoekerscentrum De Lambiek” in Alsemberg (Beersel). Saturday hours will be from 14.00 until 24.00 hour and Sunday from 14.00 until 20.00 hour. As in previous years, we have tackled the whole range of Belgian beers, and our visitors can choose from more than 100 different brews. Obviously, there will be wide range of Lambic beers on offer (from the basic brew Lambic, to Gueuze and Kriek, and other fruit beers). 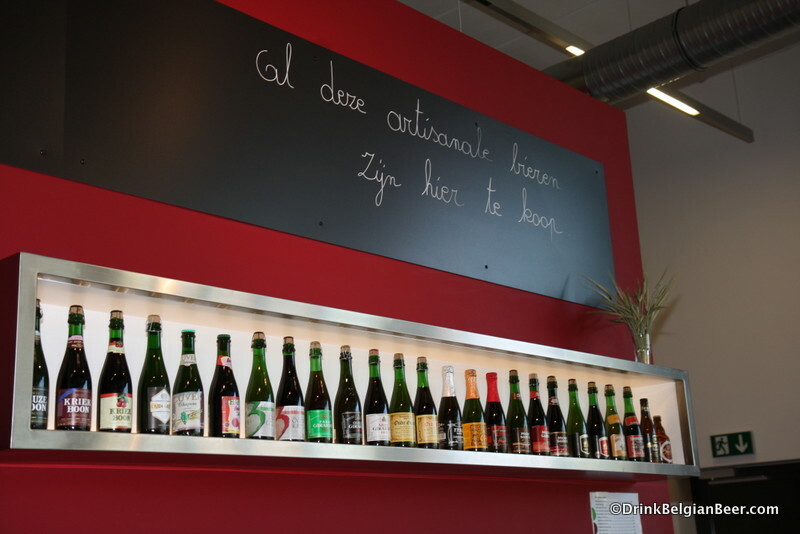 These beers are supplied by the “Streekproducten Centrum” at Halle (Note from Drinkbelgianbeer: this is a retail shop with all kinds of artisanal edible and drinkable products from the Province of Flemish Brabant.) 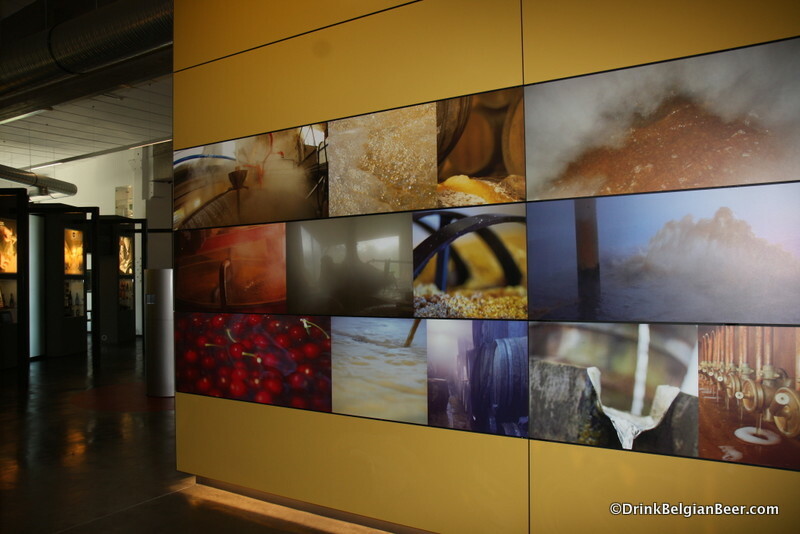 A large number of exceptional beers we personally get at the breweries. These are beers that are not so familiar to the general public. 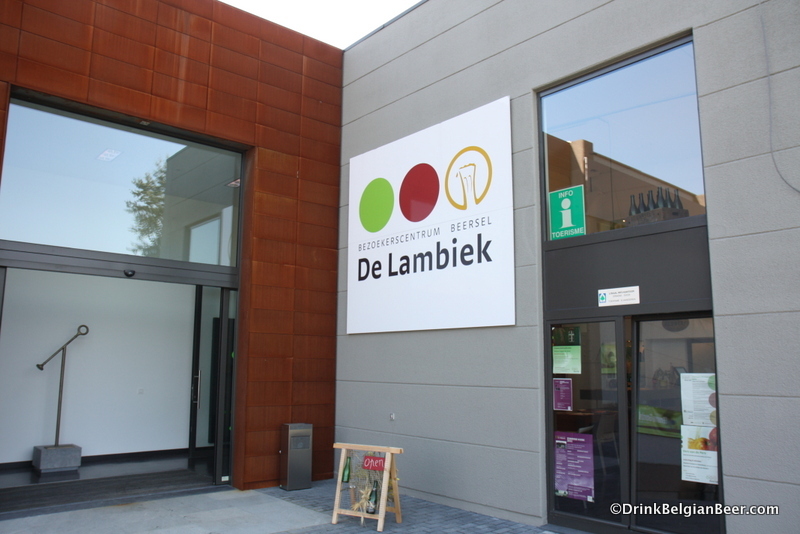 Entrance to De Lambiek, where the “Lambic Beer Weekend” will be held on August 30-31, 2014. 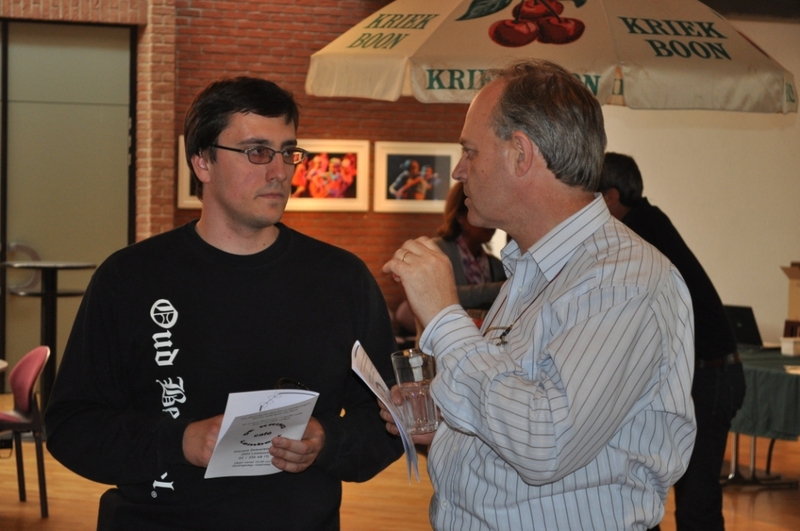 Gert Christiaens (left) of Oud Beersel and Frank Boon (right) of Brouwerij Boon at a previous Beer Weekend. We also have our new Cuvée Lambikstoemper. But the details of this beer will remain a secret until the Beer Weekend. It will be a very special beer…. 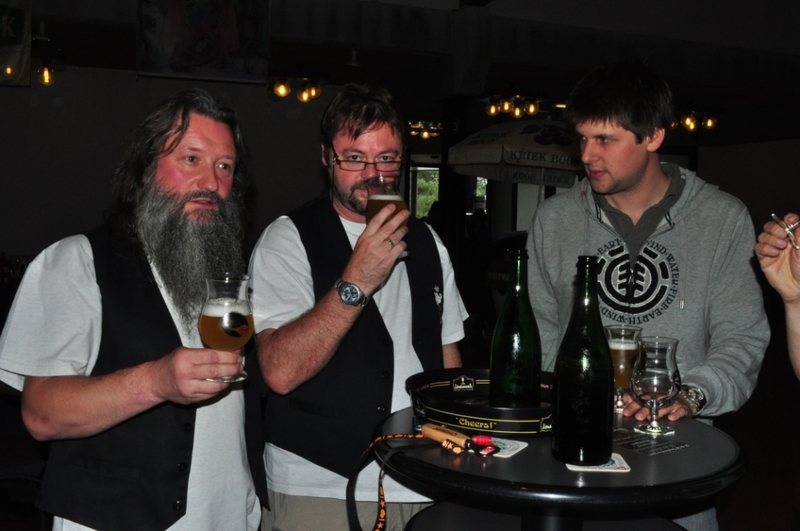 Some of the staff of De Lambikstoempers at a previous Beer Weekend. 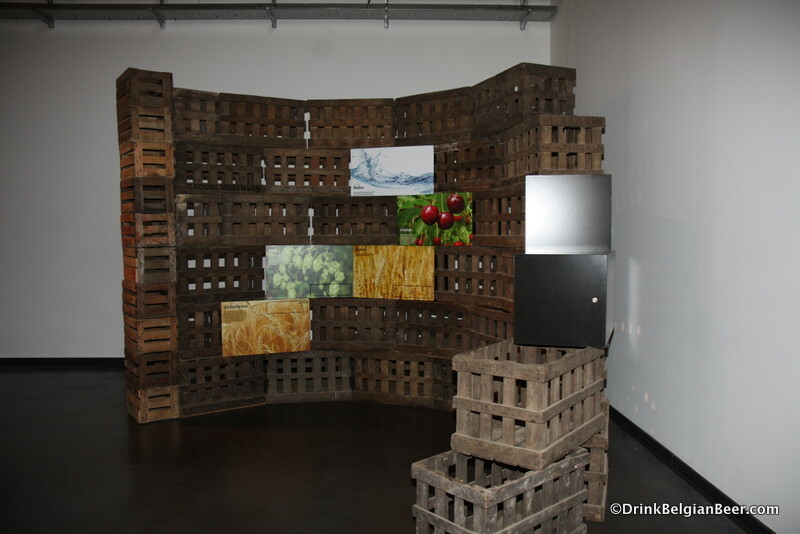 An exhibit inside De Lambiek. Except for the beers in the spotlight, all beers are sold for only 1.50 euro and are served in our own, newly made, “Lambikstoempers” tasting glasses, which are in the 15 cl. size. 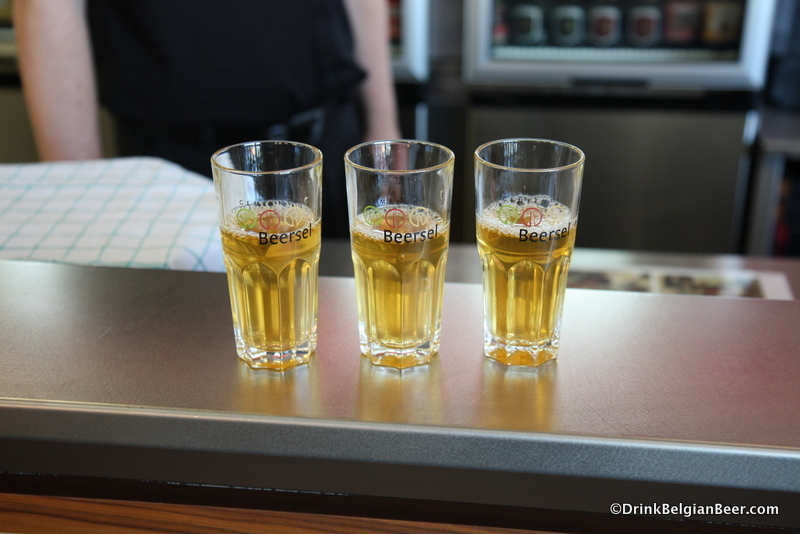 By using this tasting glass, it is possible to taste several of the beers that will be on offer. Oud Beersel Lambic at De Lambiek. Also this time they are here with their goat cheese, milk ice, pastery, rice pudding and pudding. And as with our previous editions they provide for our Beer weekend an exclusive croque monsieur based on goat cheese, pineapple…..
Pouring a beer at a past Lambikstoempers Beer Weekend. 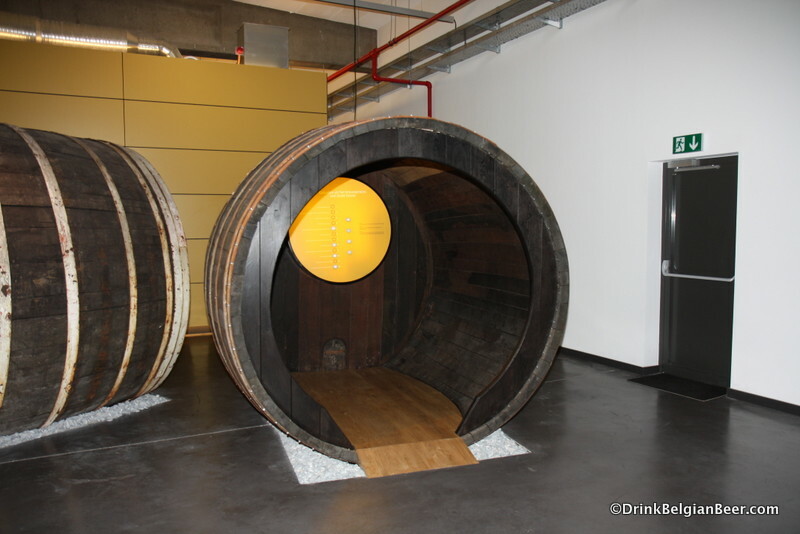 An interactive beer barrel at De Lambiek. 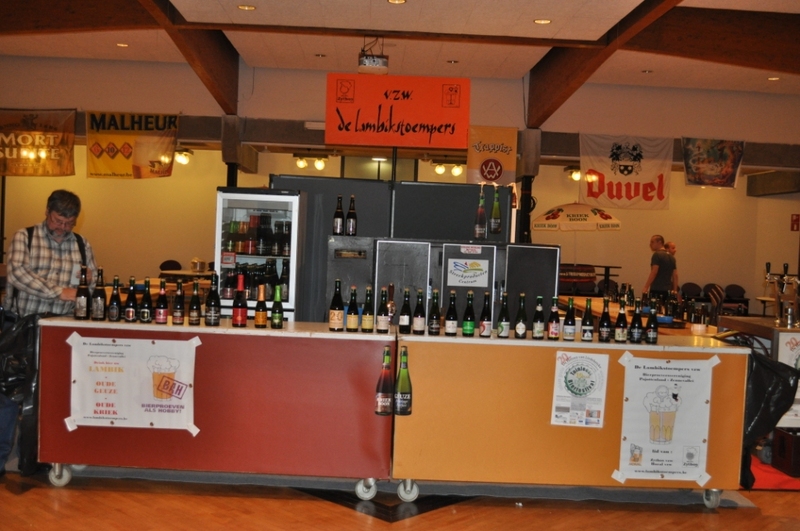 Scenes of lambic country at De Lambiek. 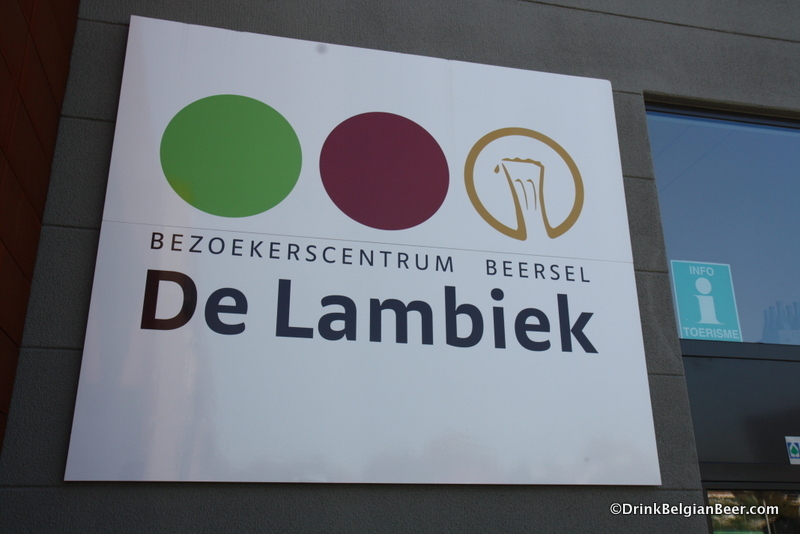 Folks, Bezoekerscentrum De Lambiek is Belgium’s lambic beer visitor’s center. 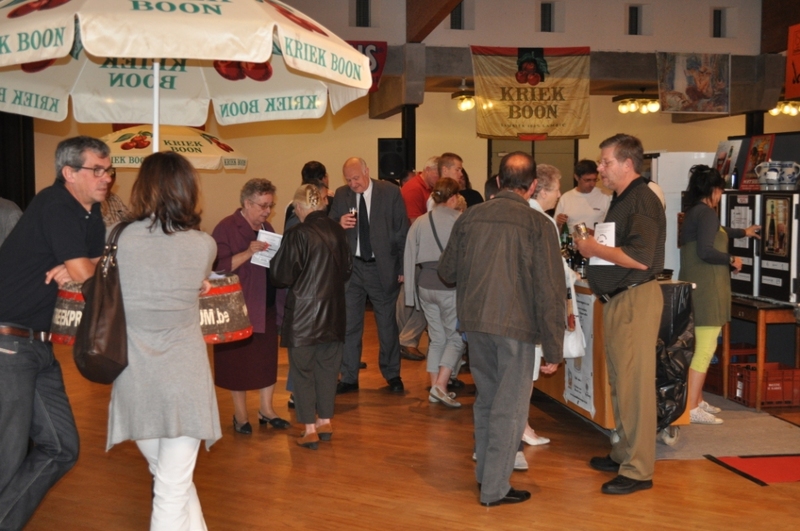 It is lambic equivalent of the Maison de Vin in Bordeaux. 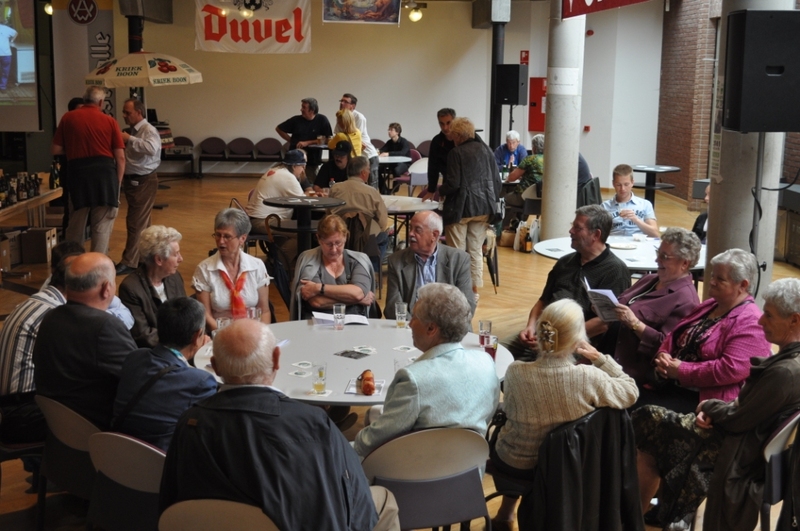 There is about 1.5 million euros in this living museum to lambic, which opened in the summer of 2011. I wrote about it on my original blog, here. 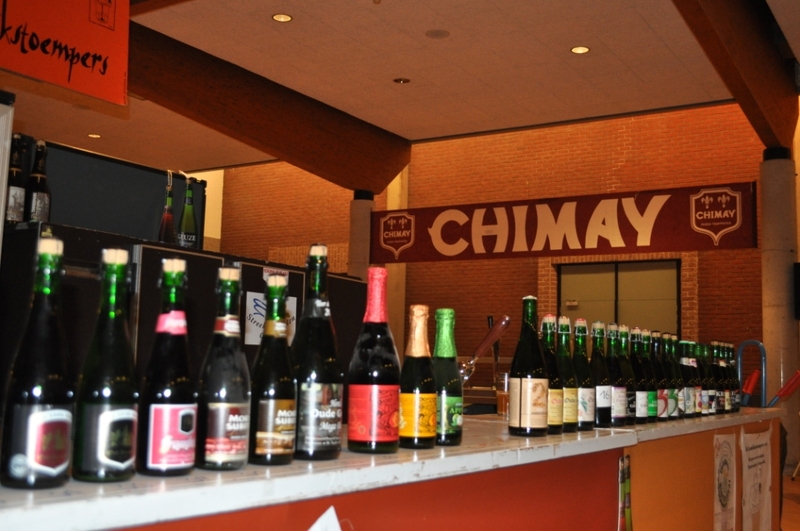 Without doubt, it is going to be a great locale for a Lambic Beer Weekend! Selection of beer at De Lambiek. There will be many more on August 30-31! Bottled beer from a previous Lambikstoempers Beer Weekend.